On Wednesday Nov. 14, UCLA’s Asian-American studies department held a panel named “100 Years of Protest at UCLA” as part of the Refugee Re/Enactments series, which celebrates UCLA’s history of activism and political engagement. 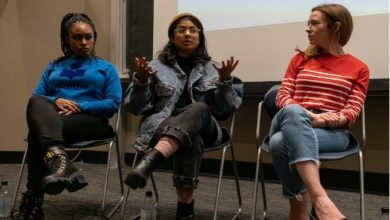 Asian-American Studies professor Lucy Burns, who teaches a Fiat Lux that shares the name and focus of Wednesday’s panel, organized the event in order to provide an alternative to UCLA’s current centennial celebration. 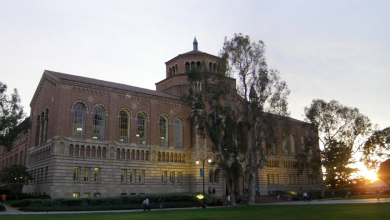 Instead of focusing on UCLA’s academic successes, Burns chose to highlight the acts of protest that have improved the university throughout its history. Panelists York Chang, Jolie Chea, and Robert Karimi each organized and participated in acts of protest such as walkouts and building occupations during their time at UCLA throughout the 1990s and early 2000s. Chang held the position of ASUCLA Undergraduate Student Body President from 1994 to 1995 and fought for educational access, affirmative action, and immigrant rights. After graduating, Chang served as a policy analyst for a social justice community organization named Strategic Concepts in Organizing and Policy Education (SCOPE) and as a poverty attorney for Neighborhood Legal Services of the LA County. Chang is now an attorney for the California Teachers Association. Chang explained that attending a diverse school like UCLA allowed him to explore his political identity and his identity as an Asian-American. He encouraged the audience to get to know themselves and explore their identities through activism. While speaking about his transformative experience at UCLA, Chang said, “Activism is essentially about trying to find connections and to communicate and transmit your experiences in a way that can be shared by more and more people.” Chang encouraged students to apply what they are learning in classes to their activism in order to develop lifelong skills and passions. Chea earned her master’s degree in Asian-American studies in 2008 and is now a UC President’s Postdoctoral Fellow in the department of comparative literature and languages at UC Riverside. She researches how Cambodian refugees have been incorporated into American society after the fall of the Khmer Rouge regime in 1979. Chea previously worked with community organizations that aim to abolish the prison industrial complex and to provide a new way of life for formerly incarcerated women. Chea spoke about how growing up during the 1992 Los Angeles Uprising heightened her awareness of race. 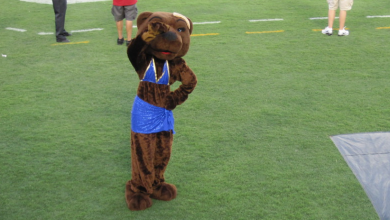 Chea explained that as a UC Riverside undergraduate student she took an ethnic studies class that gave her the desire to make sense of her experiences. Karimi is a community engagement specialist, comedic storyteller, national slam poet champion, Pushcart Prize nominee, and producer who is currently working on his cooking show, “The Peoples Cook Project.” While attending UCLA as an undergraduate student, Karimi wrote for the Daily Bruin and for various UCLA newsmagazines such as La Gente and NOMMO. Karimi covered topics like the Chicano hunger strikes and voter registration. While summarizing his career, Karimi explained that his activism and his art are intertwined. 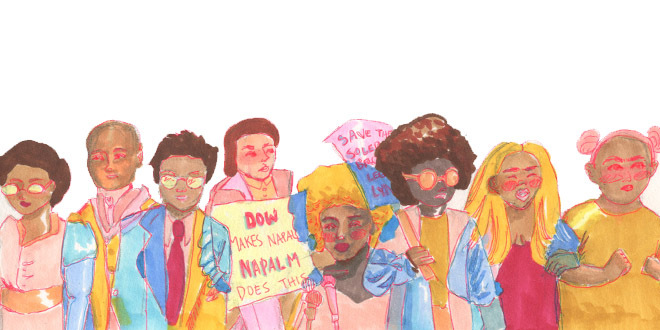 Karimi said, “My activism is my artistry …. You don’t just do art. You also went out and you did things. You also went out and you helped your community; it was never separate.” Karimi encouraged students to never lose humanity when they protest. Not all acts of protest need to accomplish quantifiable change; gaining awareness for a cause and for the humanity of its supporters is an integral step towards changing policy. While each panelist had different experiences with activism and has achieved different career goals, they all consider activism a way of life that involves finding your passion and finding the gift that allows you to connect with others. Discovering this gift allows us to connect with others and to express why we care so much about our cause. Whether it is acting, cooking, teaching, or writing, find your gift so that you can fight for what you believe is right.